When Lou (Rob Corddry) finds himself in trouble, Nick (Craig Robinson) and Jacob (Clark Duke) fire up the hot tub time machine in an attempt to get back to the past. But they inadvertently land in the future. Now they have to alter the future in order to save the past… which is really the present, in the sequel from the same team that brought you the original cult hit. Win a pass to admit two to a sneak preview screening of Hot Tub Maching 2 this Wednesday in Pittsburgh! Leave a comment on this post about why you would like to see this movie. Geekstar has a limited number of passes. Winners will be emailed a link to download a pass to admit 2 people to the sneak preview screening. Must arrive early. Adapted from Laura Hillenbrand’s (“Seabiscuit: An American Legend”) enormously popular book, Unbroken brings to the big screen Zamperini’s unbelievable and inspiring true story about the resilient power of the human spirit. The film is produced by Jolie, as well as Clayton Townsend (This Is 40), Matthew Baer (City by the Sea) and Erwin Stoff (The Day the Earth Stood Still). Leading the accomplished behind-the-scenes crew is 11-time Oscar®-nominated cinematographer Roger Deakins (Skyfall). Leave a comment on this post about why you would like to see this movie. Geekstar has a limited number of passes. Winners will be emailed a pdf pass to admit 2 people to the sneak preview screening. Must arrive early. 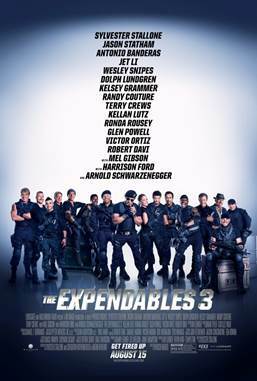 In THE EXPENDABLES 3, Barney (Stallone), Christmas (Statham) and the rest of the team come face-to-face with Conrad Stonebanks (Gibson), who years ago co-founded The Expendables with Barney. Stonebanks subsequently became a ruthless arms trader and someone who Barney was forced to kill… or so he thought. Stonebanks, who eluded death once before, now is making it his mission to end The Expendables — but Barney has other plans. Barney decides that he has to fight old blood with new blood, and brings in a new era of Expendables team members, recruiting individuals who are younger, faster and more tech-savvy. The latest mission becomes a clash of classic old-school style versus high-tech expertise in the Expendables’ most personal battle yet. Please leave a comment on this blog post to win! Teenage Ninja Mutant Turtle of the Day: Day 4 Contest Giveaway! 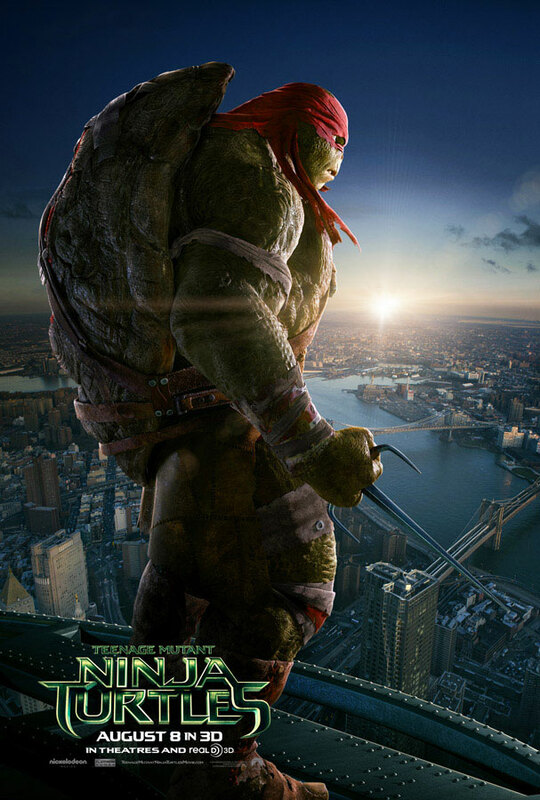 Teenage Ninja Mutant Turtles in theaters August 8 in 3D! Get these great TEENAGE MUTANT NINJA TURTLES TMNT Action Figures courtesy of Playmate Toys! TRIVIA QUESTION: What turtle is named after a famous Italian sculptor and has a natural aptitude for science and technology? He also fights with “bo” staff? The first correct answer wins! Teenage Ninja Mutant Turtle of the Day: Day 3 Contest Giveaway! Get this great TEENAGE MUTANT NINJA TURTLE TMNT Movie Role-Play Items, courtesy of Playmate Toys! 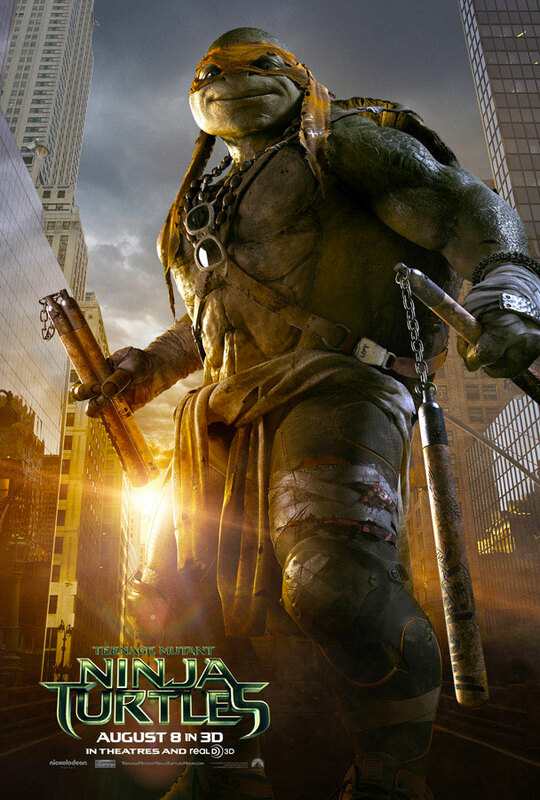 TRIVIA QUESTION: What turtle uses katanas (Japanese swords) as his weapon of choice? Congrats Chad! You are today’s winner! 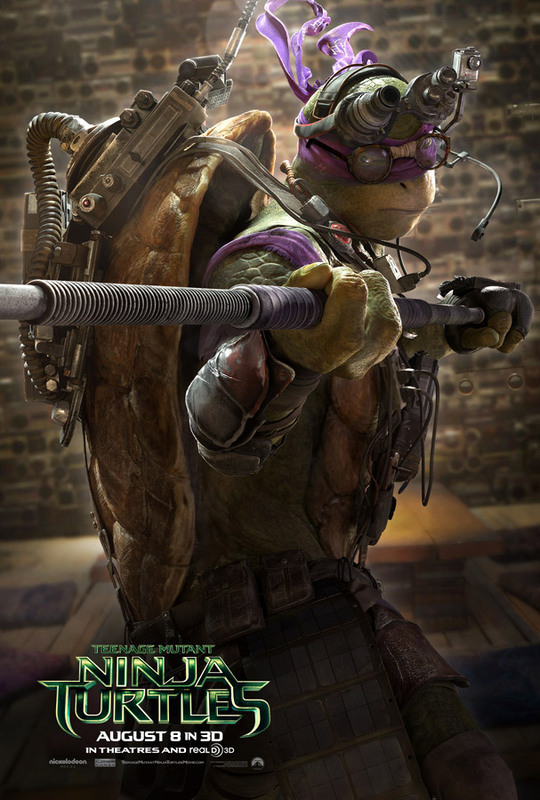 Teenage Ninja Mutant Turtle of the Day: Day 2 Contest Giveaway! TRIVIA QUESTION: IN WHAT CITY DO THE TEENAGE NINJA MUTANT TURTLES LIVE? Teenage Ninja Mutant Turtle of the Day: Contest Giveaway! Get this great TEENAGE MUTANT NINJA TURTLES TMNT Thermos FUNtainer, courtesy of Thermos! 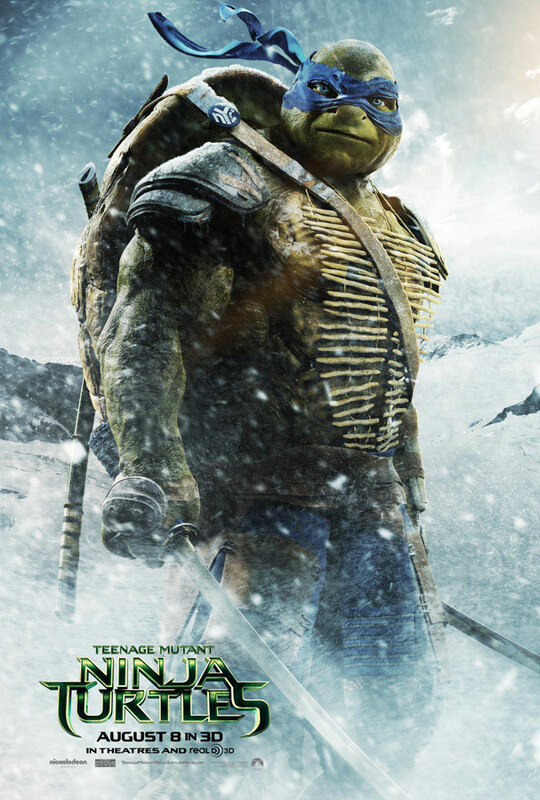 TRIVIA QUESTION: Who trained the Teenage Ninja Mutant Turtles and was their sensei? Sam is today’s lucky winner! One winner per day!